People are responsible for today’s major environmental problems: deforestation, overfishing, ocean plastics, and, of course, climate change. But people are also the solution. Our growing understanding of human behavior and decision-making holds tremendous promise for inspiring the behavior change necessary to conserve nature and provide for the communities who depend on it. For most of its history, the traditional environmental toolkit has relied on regulations, taxes and fines, and awareness campaigns. This toolkit isn’t wrong. But it is incomplete. Expanding our toolkit to include the latest behavioral insights can enhance practitioners’ ability to achieve lasting change. 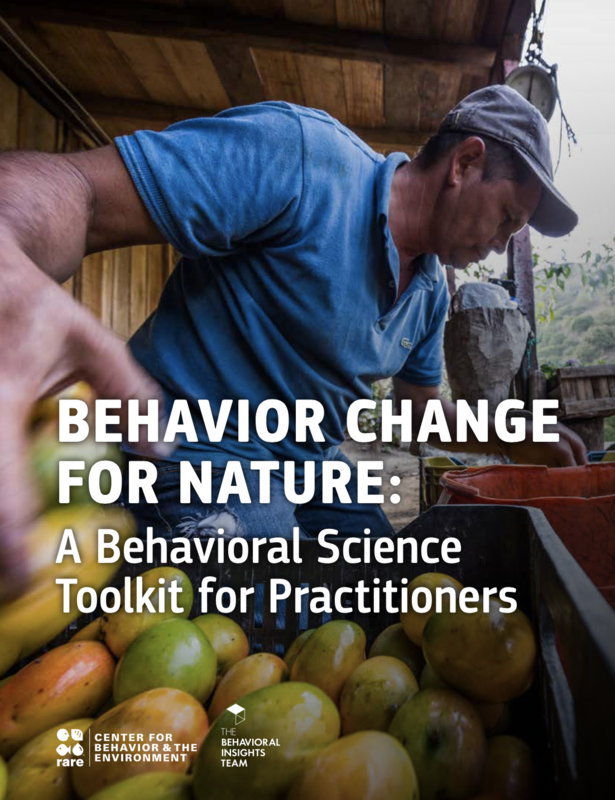 In partnership with The Behavioral Insights Team (BIT), Rare’s Center for Behavior & the Environment would like to share Behavior Change for Nature: A Behavioral Science Toolkit for Practitioners. Comprised of 15 behavioral strategies and numerous case studies, this toolkit offers proven and promising behavioral approaches to addressing today’s most pressing environmental challenges. By using more behaviorally-informed solutions, we have the potential to sustain communities and natural resources around the world for generations to come. Explore this report, then let us know together to achieve your conservation goals by contacting behavior@rare.org.